Aromatherapy works to improve and balance you emotionally and physically and helping you to take time out, be mindful of ourselves by connecting to ourselves even for a moment. 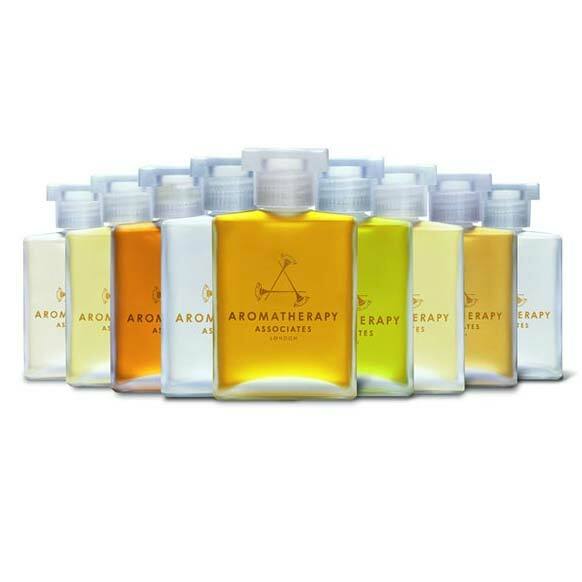 The aromas experienced during aromatherapy through the use of essential oils delivers a dynamic effect. Discover how this can help you in daily even when on the go. At Cedar we use Aromatherapy Associates Oils in all our massages. So each treatment starts with a discussion to see which one best suits your needs and the massage is tailor made to meet them. 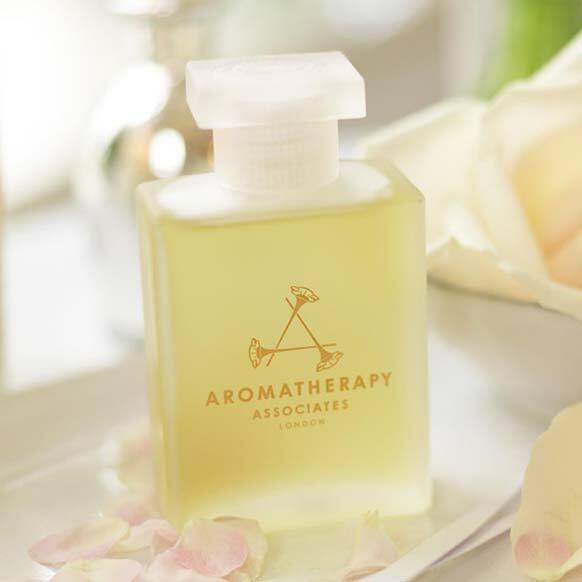 Aromatherapy Associates Bath and Shower oils are available to buy in the salon for home use to support your ongoing treatment. All our massage therapies are personalised to your needs. Your therapists experienced touch and understanding of the body will ensure a massage tailored to meet your requirements. Top to toe massage with hot towels and pressure points. 80 minutes. Includes Swedish massage and lymph drainage. 55 minutes. Uses relaxing Ayurvedic massage techniques. 45 minutes. Relieves tension and toxins built up in the muscles. 30 minutes. Our 50 minute massage is designed to focus on particular areas, such as your back and your legs ensuring that you gain the full benefits of the massage. If you are looking to experience a full body massage please ensure that you book for the 80 minute massage. Treat yourself to the deeply relaxing powers of Vetivert, Camomile and Sandalwood with the multi-award winning Deep Relax. Camomile helps to calm the mind and body. Vertivert acts as a natural sedative and Sandalwood comforts you. This bedtime indulgent treat will allow you to experience a tranquil and relaxing night’s sleep. If you suffer with an overactive mind then prepare to switch off enjoy a best night’s sleep with Deep Relax. Experience the gently relaxing and restful powers of Lavender, Ylang ylang and Petitgrain to unwind your senses and calm anxious minds. Give your mind some mental clarity by using this focusing and calming blend of Frankincense, Petitgrain, Wild Camomile and Rosemary. De-Stress your mind after a long day by experiencing the powers of aromatherapy. Give yourself a perfect start to the day with this Award Winning Revive Oil. The invigorating powers of Grapefruit, Rosemary and Juniper essential oils help to shrug off any sluggishness! Give yourself a boost of energy and confidence for the evening ahead. Revive Evening Oil is a romantic blend of Geranium, Ylang Ylang, Patchouli and Sandalwood essential oils. Enhance your self-esteem and confidence! This soothing and gentle oil will help to ease skin discomfort and irritation from dryness. English Camomile, Apricot Kernel and Jojoba essential oils help to soften, condition and treat the body. Skin appears comforted and healthier. Formulated for sensitive skin, this is gentle enough to use on children over 3 months. Suitable for pregnant and breast feeding women. Experience this uplifting blend of Geranium, Rose and Frankincense essential oils to help lift your spirits. Give yourself some comfort during challenging times. This grounding oil is emotionally balancing and helps harmonise your hormones. Indulge in a moment of peace and experience the powers of aromatherapy with the easing and comforting powers of Lavender and Peppermint essential oils. Peppermint helps to soothe digestive problems whilst Lavender helps to relieve headaches. Inner Strength works to focus the mind and calm your thoughts as well as aiding to find your inner strength during challenging times. Suitable for all skin types, this luxurious and uplifting body oil is formulated with a unique blend of Rose, Clary Sage, Frankincense and Cardamom Essential oils combined with skin conditioning Jojoba and Peach Kernel Oils. Experience the intensely conditioning and deeply penetrating powers of Macadamia, Coconut and Evening Primrose in this dry skin oil and indulge your senses with the exotic scent of Geranium, Ylang ylang and Vanilla. Experience the uplifting and renewing powers of Rose with our Renewing Rose Body Oil. Ideal for dry and dehydrated skin. This floral explosion of Rose, Neroli and Geranium essential oils helps to uplift spirits and awaken your soul. Suitable for pregnant and breast feeding women.